Ever since IK Multimedia announced at NAMM 2012 that it was branching out from its usual musician-based product line to produce a portable DJ mixer, I’ve been eager to take a closer look. 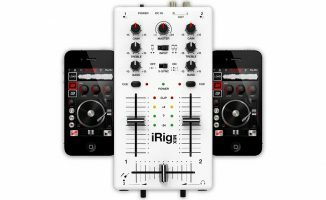 The official blurb describes the iRig Mix as being “the first mobile mixer for iPhone, iPod Touch and iPad”. And as much as I love my current mixer, it could never be described as slimline or portable, let alone mobile. 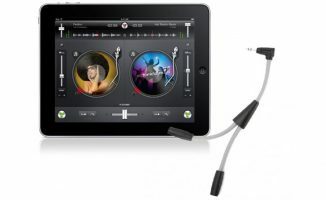 While I enjoy using DJ apps on my iPod Touch and iPad, I’m usually left craving for a physical crossfader or rotary dials for a more immediate response. The usual route for me is to use a splitter cable with my regular mixer. This works fine when I’m at home, but not for those many times when I don’t have the luggage space (or inclination) to haul a heavy mixer around with me. 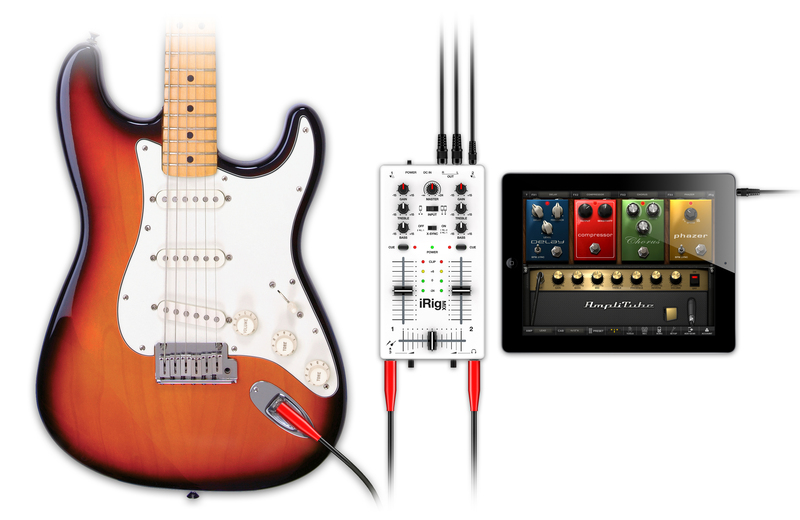 The iRig Mix is tiny, about half the size of an iPad (217mm x 110mm) and slim with a depth of 46mm. It’s clearly built for portability and budget, with a tough white plastic casing instead of a heavier metallic case. 1 x dual RCA to 3.5mm cable for connecting the mixer to an amp or powered speakers. A universal micro-USB power wall plug, complete with a number of different plug fittings to ensure it should fit most wall sockets. A point to note is that the mixer can work with an iOS battery pack, so no wall plug needed! The crossfader and channel faders are about 50mm in length and have some resistance to them as well as a fixed cut-in/fade-out curve, so no wild turntablism here… but you shouldn’t be expecting that at the price and unit size anyway. The EQ dials are limited to bass and treble only which is unfortunate because, on most apps, the mixing control covers midrange as well and in some of the better apps the EQ levels can go right down so that the signal is killed completely. Therefore the EQ controls felt like a step backwards since I couldn’t cut the midrange – although they do have a notched zero point which felt reassuring. On the back panel of the mixer are located the main input sockets (3.5mm), output connectors (RCA) and power supply (micro USB socket). On the front panel of the mixer, there’s a 1/4″ input socket for a third audio input such as a microphone or guitar and another 1/4″ socket for headphones, both of which have tiny level controls alongside. Immediately after unboxing I plugged my iPod Touch into input 1 (using the supplied 3.5mm cable), set the input slider to the left (1 iOS device) and ensured “X-SYNC” was switched off. I started Algoriddim’s djay app, switched on the “Splitter Cable Enabled” option and pushed the crossfader in the app fully across to the left. (This means that the right deck is automatically defined as the one that is ready for cueing). A point to note here is that the iRig Mix should work with any app that allows splitter cable used as a method for pre-cueing. From this point onwards everything was straightforward. 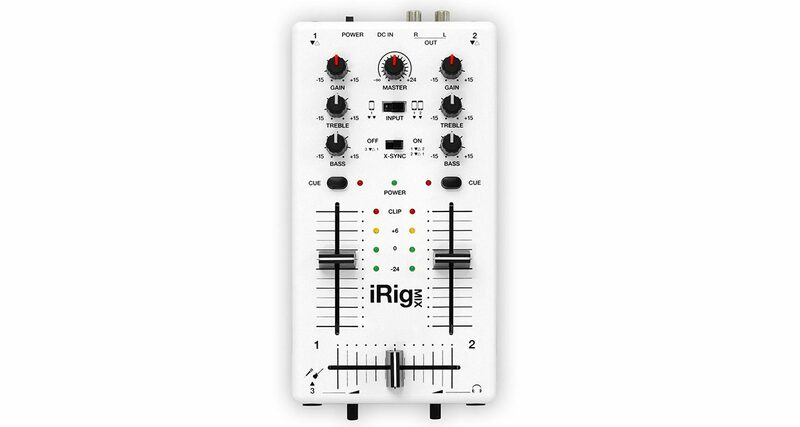 With this configuration, the iRig Mix directs one channel to the left and the other to the right of the mixer with no additional cables needed. I used the iRig Mix to handle the crossfading, EQ, gain and cueing, with djay handling everything else. I could now apply effects in the app while adjusting EQ and gain on the track via the mixer – something you can’t do all at once within a typical app. My testing led to an enjoyable two hours of mixing through random tracks in my music Library, something which I should have recorded! The iRig Mix is not just an ultraportable, slimline two-channel mixer; it has a variety of different set-up options which opens the door to using the mixer as a mini-hub for musicians as well as DJs keen on mobile mixing. This is hardly surprising given the established product line with a focus on bands and live music. 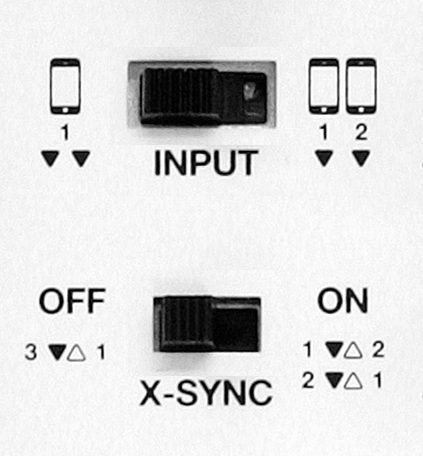 The “X-SYNC” button only makes any sense if the mixer is being used in conjunction with the corresponding DJ Rig app. Using this switch, you should be able to use the “Sync” button in the app to match the beat of any incoming audio source via the mixer. Since the recent update (v1.0.3) to the DJ Rig app, the X-Sync function works well. You connect your iOS device into input 1 and your other audio source (perhaps a drum machine, synth or CD deck) into input 2. With the X-Sync button set to “On” and the audio input button above set to 2, the mixer is configured and ready. Inside the DJ Rig app, you need to enable X-Sync in the configuration section. When I had a secondary external audio input feeding into the mixer, the DJ Rig app detected the bpm of that audio source and I could sync my loaded track with a quick press of the “Sync” button. I suspect that the cable from the iOS headphone jack to the mixer not only sends stereo output to the mixer but also receives a mono channel into the internal mic. The iRig Mix is a peculiar mixer. It’s not claiming to be solely for DJs, so as DJs we can’t expect to see all the features we’d like to have included. Equally, it’s not exclusively for musicians and bands, because you would need more than three channels and control of the mid-range EQ. But for solo modern musicians, the iRig Mix may be the perfect fit as they can easily play any instrument fed into channel 3, processed with effects from channel 1 and accompanied by sequenced beats on channel 2. For me, the prospect of packing the iRig Mix into my bag along with an iPod Touch, an iOS battery pack and my MiniRig portable speaker means I have complete freedom to mix tracks anywhere with the added tactile benefits of using a physical mixer. Ultimately, the mobile nature of the device and its many configurations are the key features that give the iRig Mix a unique selling point. 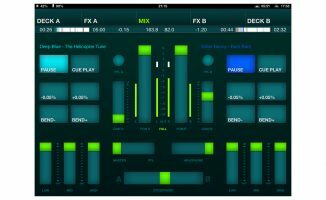 Does this mixer have enough features to keep iOS DJs happy? Are you excited by its versatility, or are there feature you think you’d miss? Or do you think in-app mixers are sufficient? Please feel free to share your thoughts in the comments. 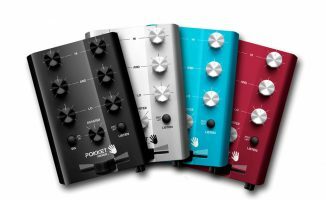 Review: Pokket Mixer - The Smallest DJ Mixer In The World? Filespnr/spektakx, You can use it with a portable iOS power supply, so it is portable and mobile. Sure, it can’t take batteries but that would add cost and increase the size making it less mobile. Making it run off an iOS device 30pin connector via USB wouldn’t make a little more sense but would add cost and drain your iDevice while playing! I’m planning on buying this, since it has an interface. Does the iRig have PC support, or do we have to manually map? Can we connect 2 mobiles & 1 sure sm56 microphone and use it ?